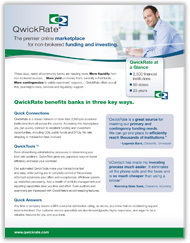 QwickRate provides community banks and credit unions a non-brokered, online marketplace for funding and investing. The company had always been challenged in describing “what they do” and explaining the benefits that their marketplace offered to prospective customers. They selected Critical3 Marketing to assist them in developing a company message that would address these issues and help them stand-out from the competition. 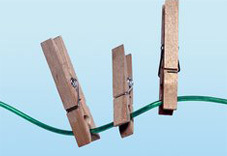 They attribute Critical3’s experience, depth of resources and market knowledge as the keys to their decision. A CriticalStart plan was executed to address their messaging and branding challenges and to assist in positioning against competitors. 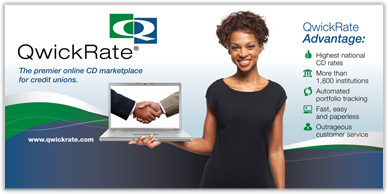 After completion, Critical3 Marketing continues to work as a core member of the QwickRate management team, creating successful strategies and programs that leverage their industry-leading marketplace, loyal subscribers, and ICBA Preferred Service Provider status.